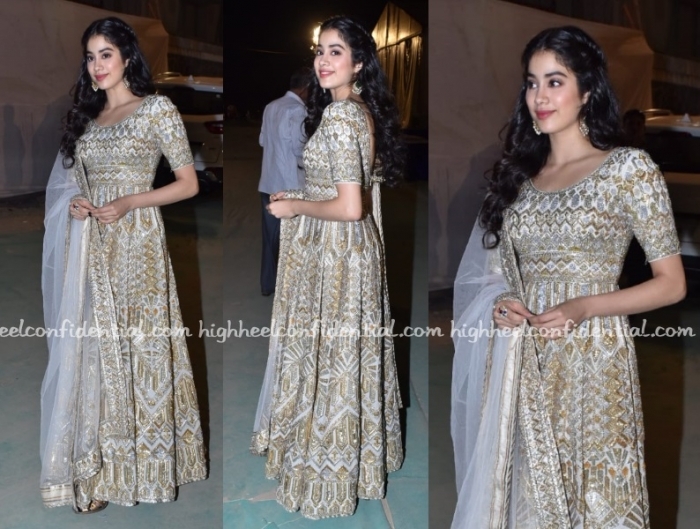 Janhvi attended the Umang show wearing a gold and silver anarkali by Abu Jani Sandeep Khosla and while I liked the anarkali, the makeup did her a bit of disservice. Comment on the clothes . Why the girl ? The comment is to do with her clothes and styling. Both horrible. Nothing personal. Loud and tacky as always. Even when she is not wearing AJSK she looks like she is wearing AJSK!! She is so young and can easily experiment with her looks and find her fashion sense but alas, always to be found in outdated and overtly mature outfits. Comments a bit harsh. She looks sweet and the anarkali is not so bad either. And hallelujah no bra-lehenga which I hope disappears. Disagree on “smoothing small hair”. Hair should look natural not like a nylon wig. I wanted to see Kangana’s Kolkata outfit. She performed at the event = the makeup. This is after her performance (she was wearing something else for it). 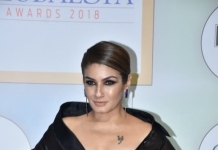 Look at the others as well, Tapsee, Sara Ali Khan, Nushrat etc etc..
For someone following you for a long time, I thought you would have put out the facts. HHC, you always did before. Btw, I was there and damn she is pretty in person. I had pictured her a certain way, and was completely surprised. As far as the clothes (I just realised I didn’t even mention it). It is becoming same old same old. She definitely needs a better stylist who looks at designers other than AJSK, Manish Malhotra, Reem Acra and PG. She only seems to wear these 4. Her hair looks so oily here . I’m so tempted to give her a hair wash then and there . My God ! comments are so harsh n borderline venomous ! she is only 21 ! give her some time to find her style calling ! change of stylist might be something she should consider ..
she’s probably stuck with AJSK coz they are like godfathers to her ! n compared to her previous outfits .. this one is much better ! I thought that was Manish Malhotra, the godfather. Weren’t AJSK close to Sara? I think I have been living under a rock. Comments against this girl are very harsh, looks like a personal grudge…not sure what did this girl did to many!!! !